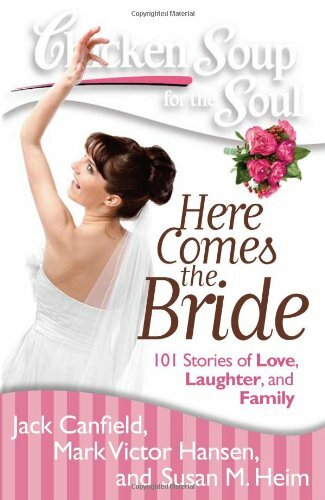 Featuring Amelia’s Story “Dad’s handout” with a heartwarming story about her father’s surprising activity on her wedding day, Chicken Soup for the Soul: Here Comes the Bride will amuse, encourage, and excite any future bride or newlywed with its stories above love, romance, and the big day. A great gift for bridal showers, engagements, and weddings. The wedding day, and each day leading up to it, is a special and exciting time. In this collection of 101 heartwarming and hilarious stories, brides and grooms, families and friends share their memories of the big day. With stories about everything from the proposal, to the planning, to actual wedding day events, the honeymoon, and all the joys and frustrations in between, this book will delight and encourage any bride or newlywed.